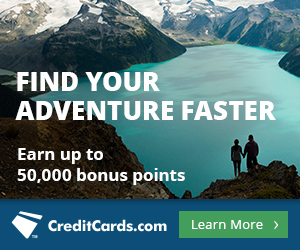 Home AAdvantage AAdvantage Barclaycard Bonus Increased to 60k (for One Purchase)! This card keeps getting better and better. The Barclaycard AAdvantage Aviator Red World Elite MasterCard has increased its sign up bonus from 50,000 American Airlines miles to 60,000 American Airlines miles and has no minimum spending requirement. It started with a bonus of just 40k back when I signed up for it. In June the bonus rose to 50k, and now it’s at a whopping 60k for putting just one purchase on the card! You’ll receive the bonus after buying one thing with your card (of any value) and paying the annual fee of $95. That means you’d effectively be paying $95 (or .15 cents a mile) and a hard credit pull for 60,000 American Airlines miles. You can read a full breakdown of the benefits here. American Airlines have a nasty reputation for lack of SAAver Level award space on American Airlines, and for good reason. Beware that you probably won’t find tons of options on the exact dates you want to travel when redeeming AAdvantage miles on American Airlines flights, especially domestically. That doesn’t, however, mean they’re useless. American has tons of partners you can redeem their miles on–anyone in the oneworld alliance–and even valuable non-allied partners like Etihad. I myself have a healthy balance of American Airlines miles (I do actually put my money where my mouth is) and find them useful for travel between the United States and South America, as well as occasionally within South America on LATAM flights. Whenever American Airlines Business Class award space opens up to popular destinations like Europe we try to cover it as quickly as possible here on the blog, so keep an eye out for notice. There are many sweet spots awards that don’t touch the United States on American’s chart flying premium partner products like Etihad, JAL, Qatar, Cathay Pacific and more… read Sweet Spots on New Devalued American Airlines Award Chart to learn more. Think you already have this card? Typically with cards issued by Barclaycard, you can’t have two of the same card open at the same time. Note that this AAdvantage Aviator Red World Elite MasterCard is a separate product from the AAdvantage Aviator Red MasterCard, also issued by Barclaycard, which is what most of you who used to have the U.S. Airways card were converted to back in early 2015. So if you have the AAdvantage Aviator Red MasterCard, you should still be eligible for the this card. I can personally attest to this fact because I still have the old Barclaycard AAdvantage Aviator Red MasterCard that was a product change from the old U.S. Airways card, and also opened and received the bonus on this new AAdvantage Aviator Red World Elite MasterCard earlier this year. AAdvantage Aviator Red MasterCard, the card you were probably automatically converted to if you previously held Barclay’s U.S. Airways card. …and here’s the new one. Of course, this is also a separate product from the Citi / AAdvantage cards, so you can have those and this card at the same time. We value American Airlines miles at 1.5 cents, which makes a 60k bonus worth roughly $900. That is the biggest sign up bonus I’ve ever seen for the tiny effort it takes to unlock it. It’s never wise to collect miles you don’t have a plan for since all miles depreciate over time. But if you have a trip in mind, the bonus from the AAdvantage Barclaycard is super easy to earn and burn. If you want more American miles fast and also value American elite status/lounge access, the Citi / AAdvantage Executive World Elite MasterCard is now offering a whopping 75,000 bonus American Airlines miles for spending $7,500 within three months of opening the card. Credit card links have been removed from posts and added to the menu bar at the top of every page of MileValue under the heading Top Travel Credit Cards. We do get commissions when you sign up for some cards, but not the AAdvantage Barclaycard. We just want you to be aware of the best deals. How many days / months you should wait between 2 barclay applications? I have applied and approved for Barclay Arrival+ about a month ago. I also have old Barclay card (AAdvantage Aviator Red MasterCard) for about 2.5 years. Six months is the recommended wait time between Barlcaycard applications. I received 40K on the Aviator card in April. Will Barclay match the new 50K offer and give me an extra 10K miles? Not sure…have read data points in both directions. Definitely worth a shot! Let us know how it goes! In a previous post I seem to remember that you or someone else mentioned that since they had the “old” card they needed to call recon and gave the reason for wanting the new card as better benefits. I have not yet closed my old AAviator (USAir) card but would like to apply for this “new” one. Any advice on “talking points” should I go to pending and have to call recon? PS I also was approved for the Arrival + in Feb. this year. Think that this will be a problem? Hello! To be on the conservatively safe side if you’re worried about a hard credit pull in vain, I’d wait six months from when you opened the Arrival Plus. As for talking points, whenever I’m put in that situation, I just say I want it to organize a different set of expenses. I can’t remember off the top of my head their exact benefits comparatively but yes, having a benefit handpicked from the new card’s package that the old one doesn’t have would also be smart. Sarah, just out of curiosity, how many other Barclays cards did you hold when you applied for your new Aviator Red card other than your old Aviator Red card converted from the US Airways card. I was just approved for the Arrival + card for the second time (closed the first one two years ago) June 1st. Some people say two Barclays cards are max others say three max. So this question is similar to Jaz’s question. The original Aviator card has $27,500 credit limit. 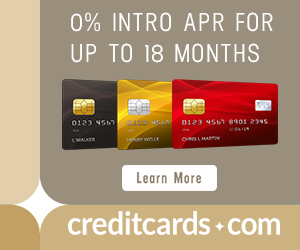 Would you just cancel the card or just reduce credit limit? I had an Arrival + and the old converted Aviator Red card. If I was in your shoes though and had had another Arrival+ open previously, I think I would have canceled my old Aviator Red before applying for the new Aviator. Looks like I missed out on the chance to get the second card since I’ve now been “upgraded” to the new card automatically. I have the RED Aviator card converted from the US Airways master card. I think I have this card for 4-5 years now (including the US Airways years). However, my RED Aviator card looks exactly like the one you showed above “new” card look. Mine doesn’t look like the “old” you showed. Will I still be eligible for this new card bonus?? My wife and I sent Barclay a note asking if our account could be upgraded to the 60K offer. We are approved for the cards, but have not received them even though they show on the account page. Barclay said they would forward our claim for this to an appropriate office and would let us know in 7-10 days. Call double check MAKE sure it’s in their data (notes) .Got Citi P card for 50K then 3 weeks later they upped it to 75K CALLED got the 75K offer upgrade . Got the Aviator card last nite TEN MINUTES LATER it was with my 2 other cards online . Wait the 10 days but stay on top of this it is $$$$$$$$$$$$$$$$$$$$.. Looking for data points on how long did it take for bonus miles to post for people who had or currently have the “old” Aviator card(US Air conversion) and applied for the “new” card. Language in the terms does say something like 6-8 weeks. My son applied for the new card in June, paid the yearly fee and made several purchases but hasn’t seen any bonus miles yet. My previous experience with other Barclay cards was that the miles posted almost immediately. Hoping to hear back from others before the other family members (4 of us) apply for the “new” card, pay the fees and then might not get the bonuses! I bet (CALL) it’s the next statement after he pays the $95 but i will find out .They must b insane like most banks to have an offer like this . This is my 3rd card over 3 years never spent any money and they gave me another ???????????? Update: bonus posted 2 days after the second statement. His old Aviator card was already closed. Now going to apply for myself (old aviator card still open) and hope that it works.